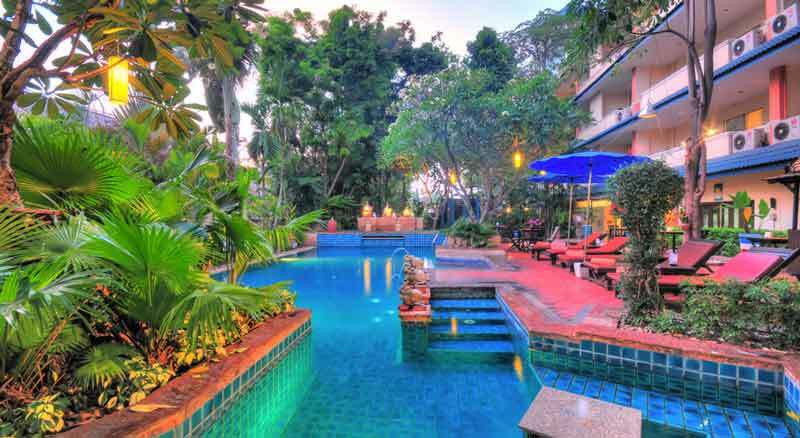 Located on South Pattaya Road, guests of Citin Garden Resort Pattaya by Compass Hospitality are within walking distance of several shopping centers and entertainment venues. This resort town has activities for both children and adults, from extreme land sports and water sports to amusement parks. There is also a Ripley's Believe It or Not which kids will surely enjoy. After a day in the sun, relax in the garden or lounge by the pool or in the Jacuzzi. Citin Garden Resort Pattaya by Compass Hospitality offers an excellent living choice for when in Pattaya, close enough to downtown, yet far away for a peaceful night's sleep. On-site facilities include a 24-hour front desk, meeting facilities, and an outdoor pool.